Ever told somebody that your cellphone’s photos looked as good as a mirrorless or slr camera? Well Canon wants you to stop because all of us serious photographers (the term serious used extremely loose here) know that statement is not really true. Sure today’s cellphones have gotten extremely good at offering exceptionally high ISO sensitivity and even depth of field, but nothing really compares to the larger sensors found in mirrorless or slr cameras. 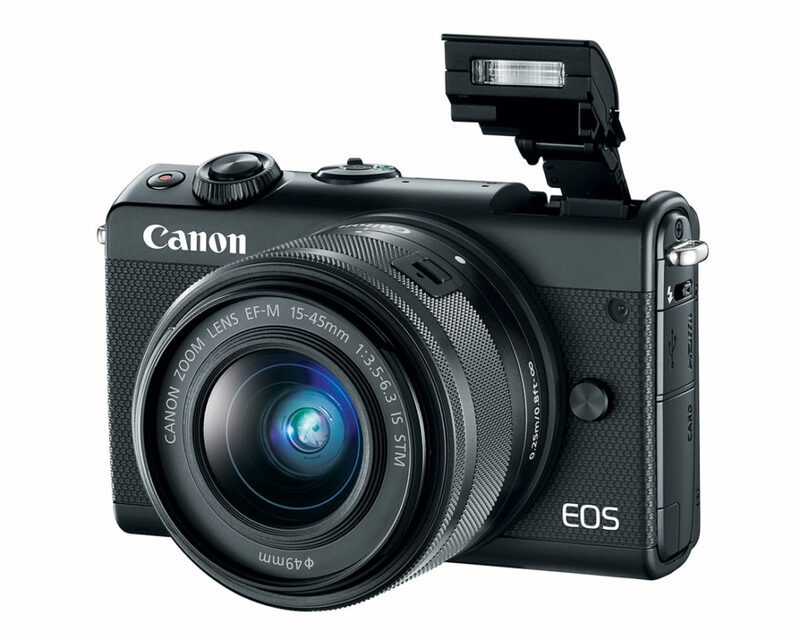 With that in mind and aiming to help all those social media junkies that use “Phonie-Cameras” to shoot better photos, Canon has released an upgrade to their base mirrorless offering in the form of the EOS M100. 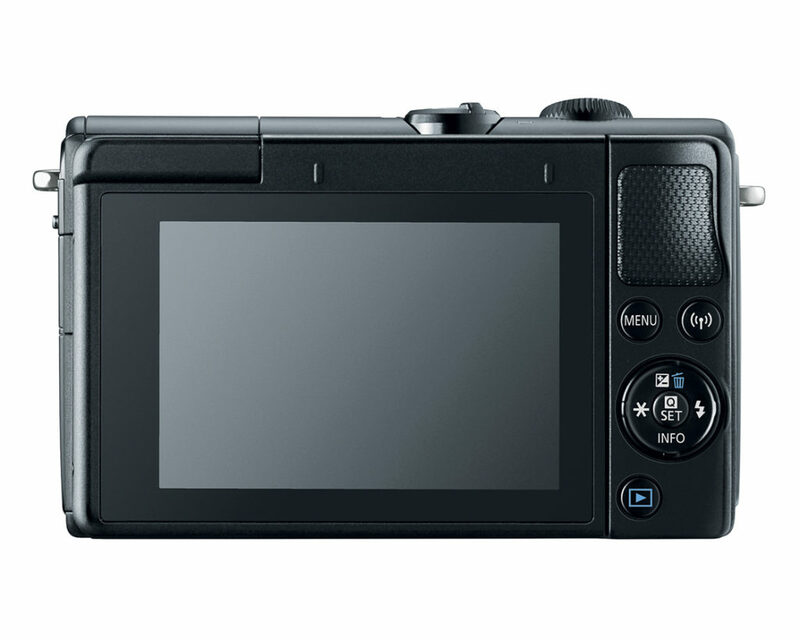 The camera is the smallest in the M series line up and has been upgraded tremendously from the M10 version. 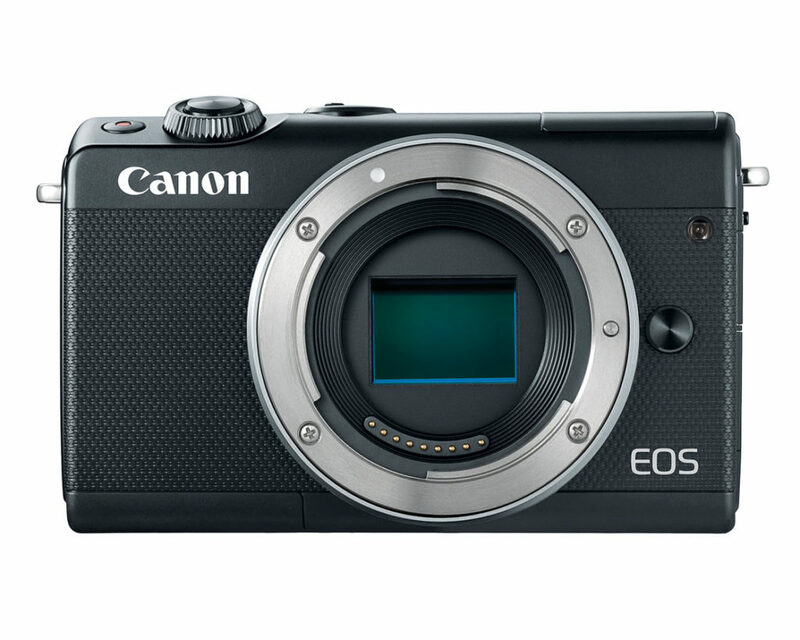 Canon’s EOS M100 boasts a brand new 24.2 megapixel APS-C sensor with 100-25,600 ISO range, putting it in the same field as Sony’s entry level Alpha cameras. 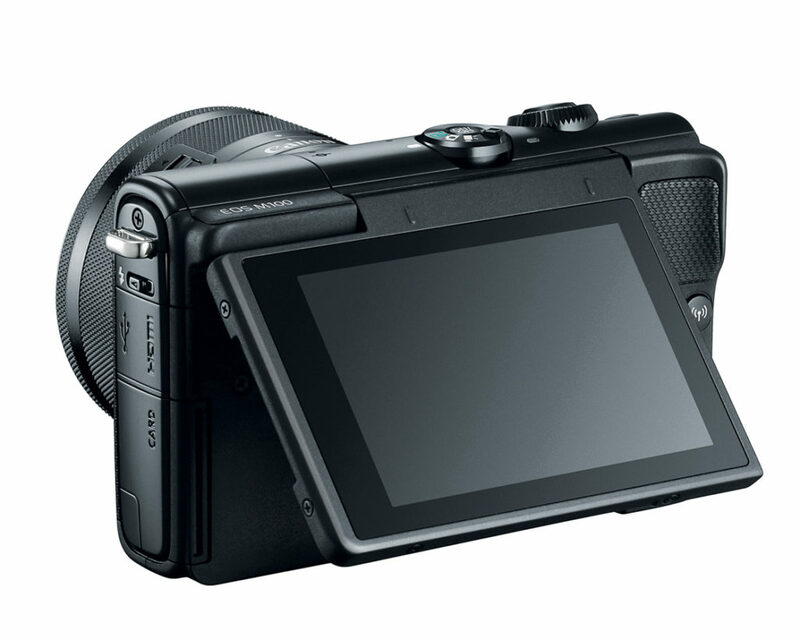 Unlike most of Sony’s mirrorless models however the new M100 does sport a 180 degree tilting screen; perfect for today’s selfie or vlogging crazes. The camera’s video capabilities top off at 1080p/60fps for those wanting to do some video recording with easy to access creative options for time-lapse videos and a hybrid mode which allows for capture of video scenes when a still is desired out of the recording. Because the camera features touch controls on its lcd screen, we’ll have to see if Canon allows for any interactivity when it comes to shooting video. If pulling focus or touch-to-focus options are available this could be a good alternative to the ever popular Canon G7X Mark II. Canon’s minuscule M100 is also loaded with social media friendly features like wifi, nfc, and bluetooth which allow for remote use and the ability to upload to your favorite social network. Loaded within the camera software as well are creative features that allow for cool effects like Grainy Film, Art Bold, Fish-eye and more to add a personal touch to your photographs. 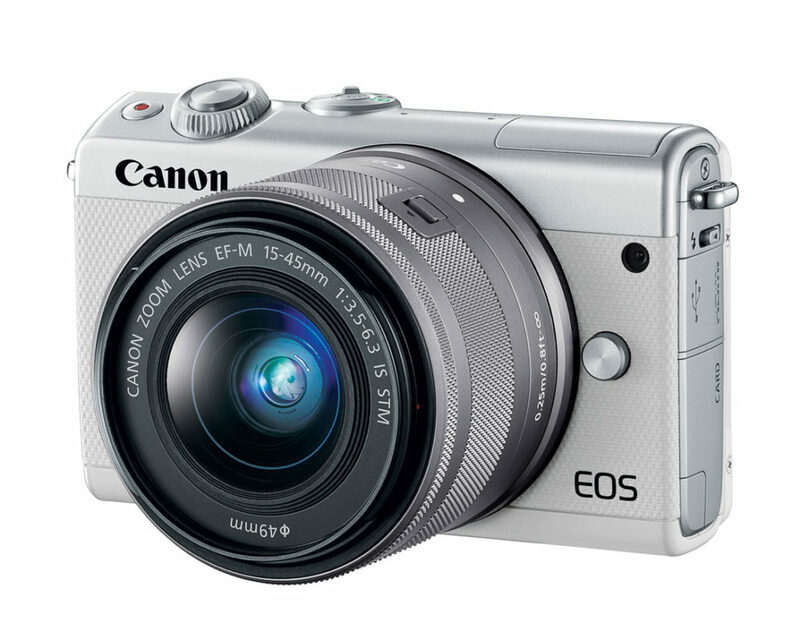 The Canon EOS M100 will be a fun alternative to the individual that needs a great camera in a portable form. With the new updates listed above we’re sure it will compete well for those looking for something small. The camera will be available in October 2017 in both black and white with a standard EF-M 15-45mm f/3.5-6.3 IS STM lens for $599.99. A two lens kit will also be available for $949.99 and will come packaged with the EF-M 15-45mm f/3.5-6.3 IS STM lens and EF-M 55-200mm f/4.5-6.3 IS STM lens.